Project for private client. Stockholm Archipelago. 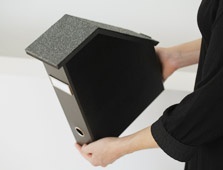 Magazine holder, wood and roofing material. Nivå 125 Gallery. Exhibition project designed for Nivå 125 Gallery in Båstad, Sweden. 3 x 10 pcs in limited edition. The perfect living space for the ordinary bird family. Lecture in connection to the travelling exhibition "17 Swedish Designers". "Dress" upholstered easychair and sofa. 2009 and 2010. Originally designed as an homage to the metro system in Stockholm and the everyday life of commuting, every necklace are coloured in one of the different metro line's special hues which indicate its route on the metro map. Every station is represented by a Swarovski Crystal Pearl. For the exhibition Swedish Love Stories at Superstudio during the Salone del Mobile 2011 the metro of Milan get its own version, the Metropolitana 1 Red line journey from Sesto to Bisceglie/Rho Fiera. Designed for Gallery Pascale, Stockholm. The permanent exhibition shows the history of Swedish architecture. 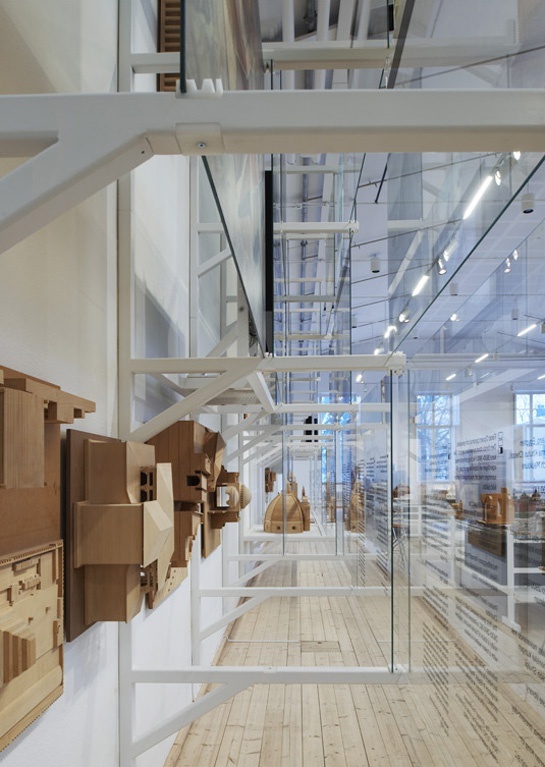 The main feature of the exhibition is the extensive collection of architectural scale models. Built on an idea of flexibility the exhibition design consists of modular tables with glass or laminate table tops that can be placed in different heights. A 4 meter high glass wall displaying pitures and models of international land mark architecture is creating a backdrop to the exhibition. 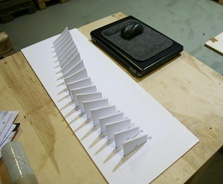 Work in collaboration with Björn Dahlström. of Architecture in Stockholm. Permanent exhibition. 2009. The easychair was originally designed for the office of the National Librarian at the National Library of Sweden, Stockholm. 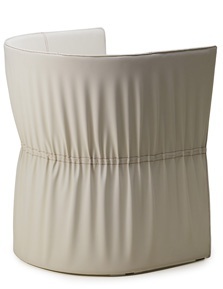 The idea is to examine the beauty of wrinkles.Dress easychair has an outside and an inside with different appearance, however both is as important. 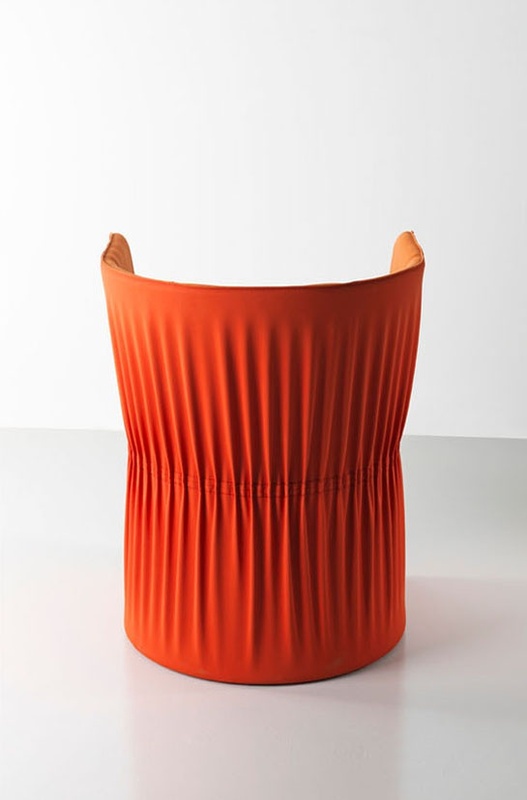 Wrinkles or creases around the waist gives the characteristic to the outside of the chair focusing the attention to the back. The inside, or the lining, gives the user an embracing and very tactile feeling. Leather, wood and tin string. Sami museum Siida, Finland. 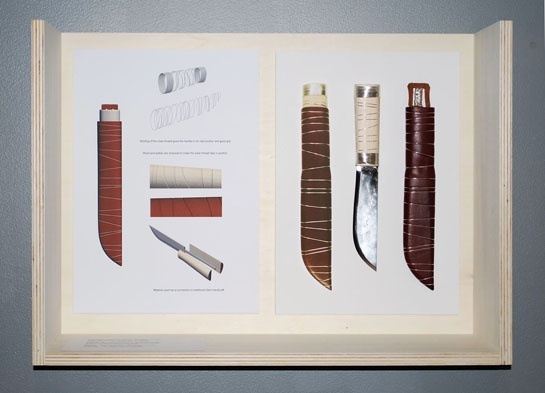 Curated by Simo Heikkilä, the exhibition shows Leuku knives reinterpreted by Anna von Schewen, Konstantin Grcic, Timo Salli, Naoto Fukasawa, Jasper Morrison and others. The idea was to arrouse debate about how many locally developed tools and utensils are disappearing because of global production and the price competition that stems from it. 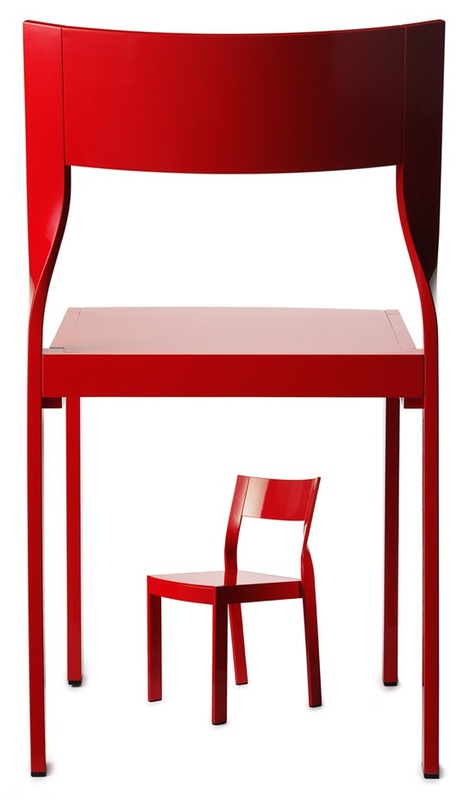 "Twist" chair 2008. Stackable chair in solid wood. 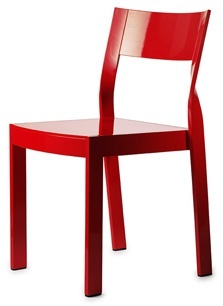 A basic, comfortable and light wooden chair with a blend of strong personality and straight forward elegance. backrest. The shape plays with the fibres of the wood and communicates the personality of the chair. The twist is achieved by solid wood, shaped in a computerized cnc router. 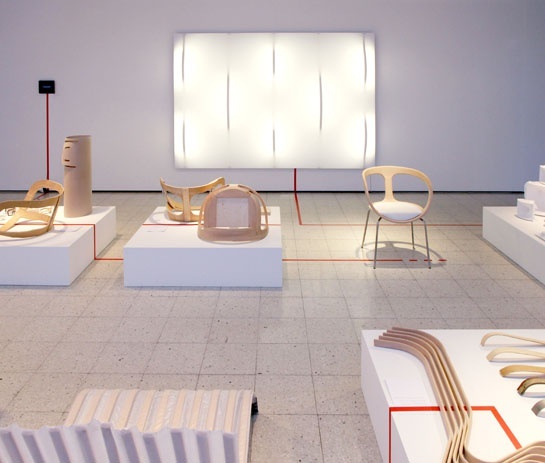 Awarded "Furniture of the year" by Sköna Hem magazine 2009. 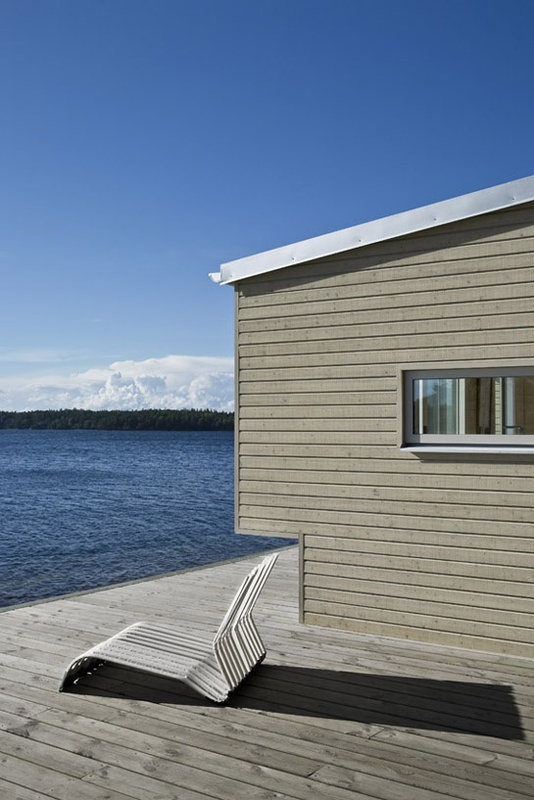 Seaside retreat with sauna. A wooden structure where focus is on the impressive view and the proximity of the sea. 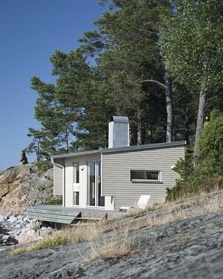 Situated in the Stockholm archipelago. "Arabesque" planter 2012.100% recycled sand-cast aluminium. This planter has a robust design made to complement contemporary architecture and landscaped gardens. The surface is characterised by angled geometric shapes that resemble the intricate profiles found in ornamental tile works. 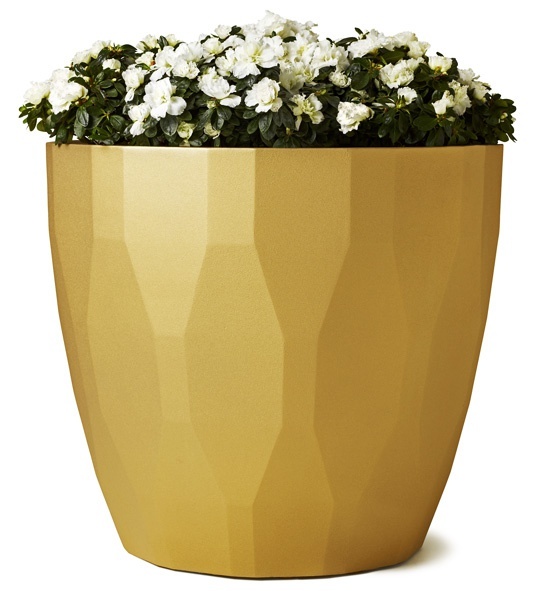 The planter's substantial size is big enough to grow shrubs and small trees, making it possible to bring flowers and plants to areas covered in concrete. "5X3 Design Visions" exhibition 2012.